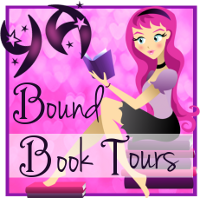 YA Bound Book Tours: Book Blitz: Kissed (The Thorn Chronicles #1) by Kimberly Loth! 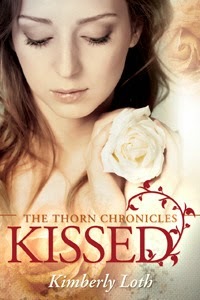 Book Blitz: Kissed (The Thorn Chronicles #1) by Kimberly Loth! Trapped in a dark cult, sixteen-year-old Naomi Aren has lived a quiet, albeit unhappy, life nestled deep in the hills of the Ozarks. With uncut hair, denim skirts, and only roses for friends, Naomi seldom questions why her life is different from other kids at school. Until the day her abusive father, who is also the cult’s leader, announces her wedding. Naomi must marry Dwayne Yerdin, a bully who reeks of sweat and manure and is the only one person who scares her worse than her father. Then she meets Kai, the mysterious boy who brings her exotic new roses and stolen midnight kisses. Kisses that bring her a supernatural strength she never knew she had. As the big day approaches, Naomi unearths more secrets of about her father’s cult. She learns she has power of her own and while Kai may have awakened that power, Naomi must find a way to use it to escape Dwayne and her father—without destroying herself. Kimberly Loth can’t decide where she wants to settle down. She’s lived in Michigan, Illinois, Missouri, Utah, California, Oregon, and South Carolina. She finally decided to make the leap and leave the U.S. behind for a few years. Currently, she lives in Cairo, Egypt with her husband and two kids. 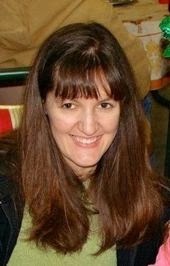 She is a high school math teacher by day (please don’t hold that against her) and YA author by night. She loves romantic movies, chocolate, roses, and crazy adventures. Kissed is her first novel. Book Blitz: Breaking Fences by Juliana Haygert! Release Day Blitz: Ex Factor by Elisa Dane! Blog Tour Kick-Off: Creators by Tiffany Truit! Book Blitz: Love and Leftovers by Sarah Tregay! Book Blitz Sign Up: Just Sing by René Gilley! Cover Reveal: The Book of Ivy by Amy Engel!